I looked around the wonderful landscape of the mountain and came down to the parking lot. The lunch time had passed already. 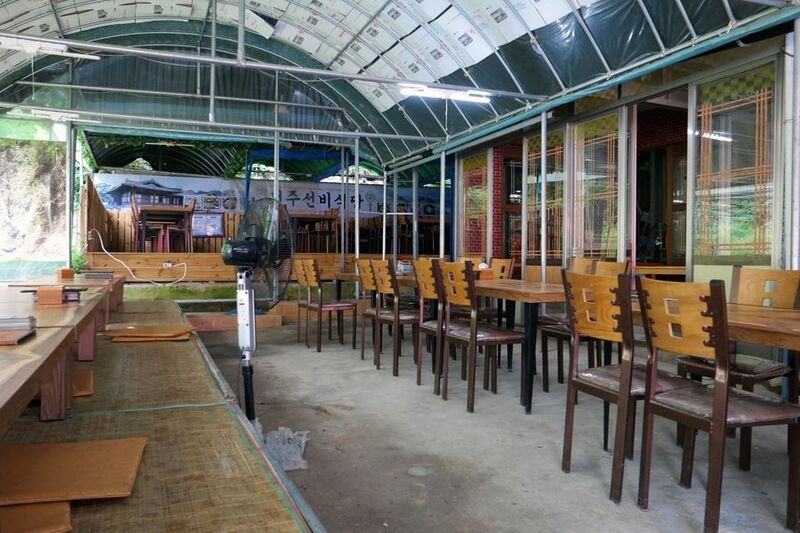 Among many restaurants, we chose 「Jeonju Seonbi Restaurant」 which is located at the entrance. The reason why we chose this restaurant was simple that it seemed wider than any other restaurants around here. Restaurants on the left side of the entrance are especially located by the valley. There is a strength that you can have a meal alongside the valley, when there are many visitors. 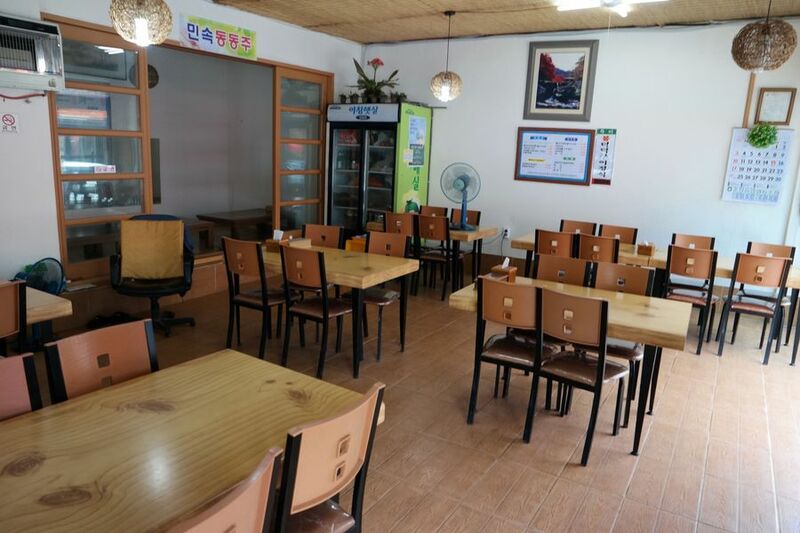 However when we visited, it was already past lunch time and there were only a few people. We located at the table which was close to the counter. 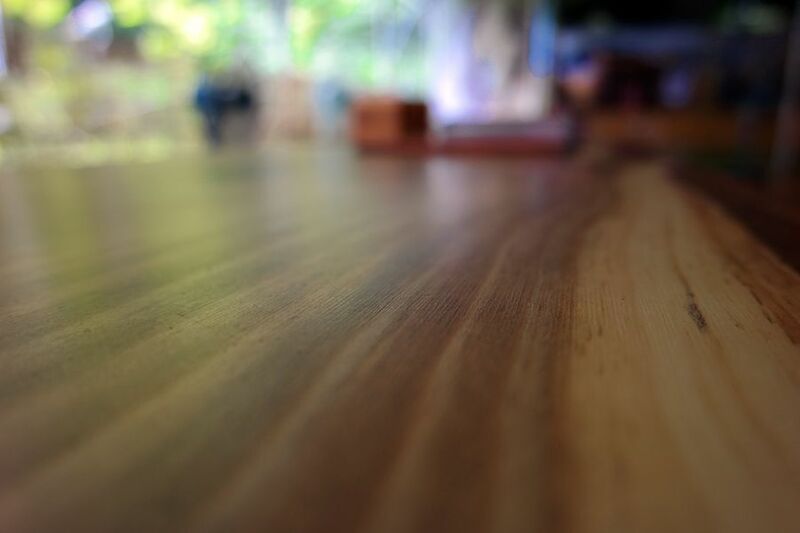 Of course, Deulmaru table outside, rather than inside. 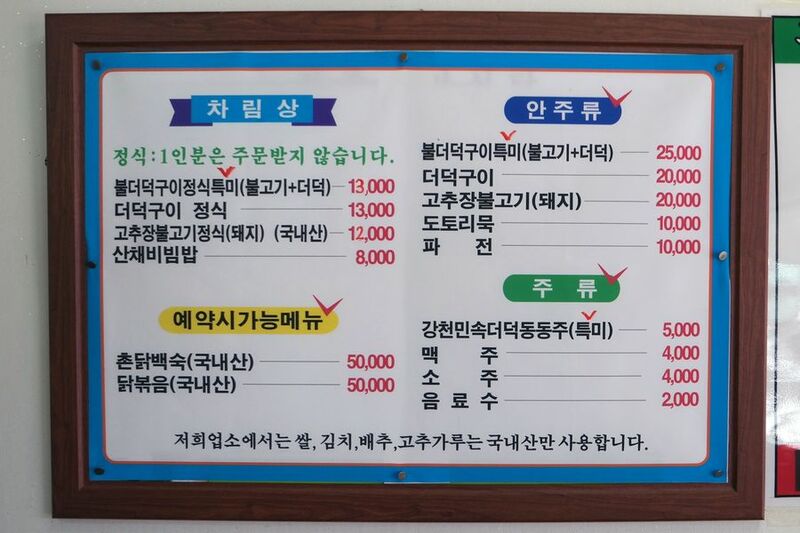 There were common menus of usual tourist sites, but here is the very Sunchang that is well known for Gochujang(Hot pepper paste). 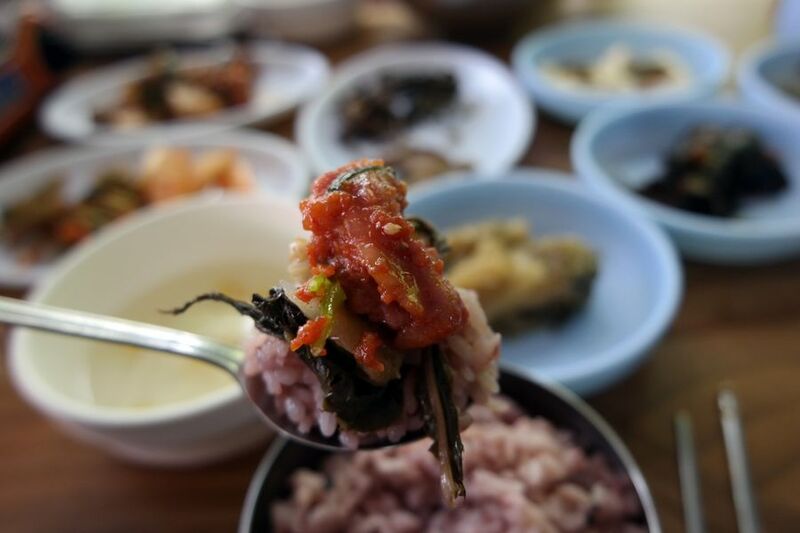 We were going to order Sanchae Bibimbap(Wild vegetable Bibimbap), but we chose Gochujang Bulgogi Set as we were lured by an owner's sweet story that wild edible vegetables will be served as side dish of the set. We turned on 3 fans and set them toward us. 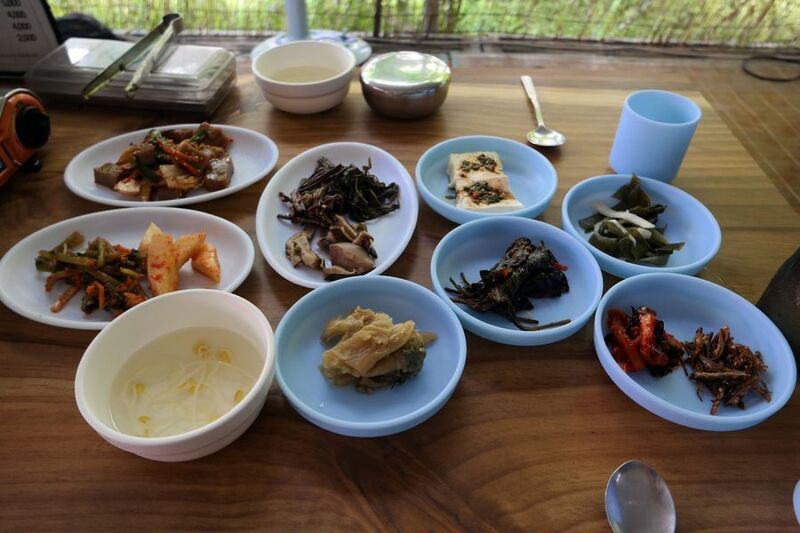 The side dishes of set menu were prepared at the moment I was going to have a cup of water. Dishes were neater and simpler than I had expected. Seasoned Acom Jelly Salad was much better than we would have expected. It was even better than other restaurants' salad as main dish. 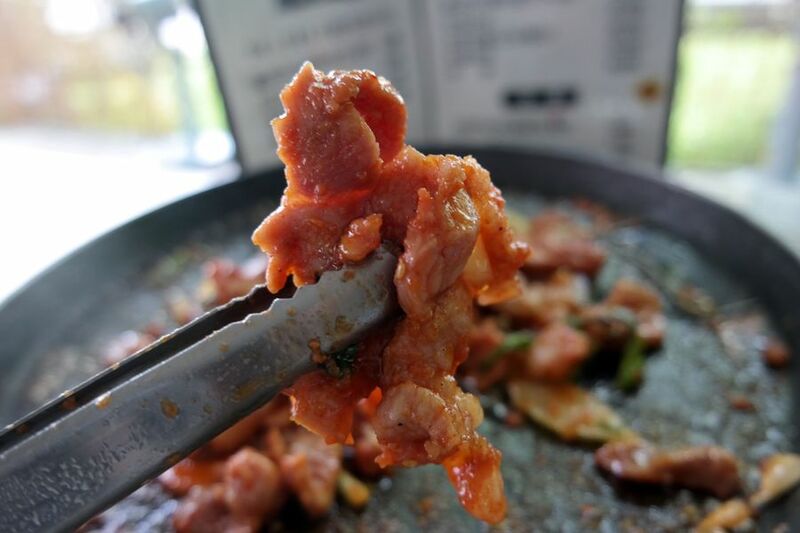 It might be the dignity of Jeolla-do food… Although there is a stereotype that the food in tourist sites is usually strongly seasoned and not good, overall side dishes boasted wonderful flavor. 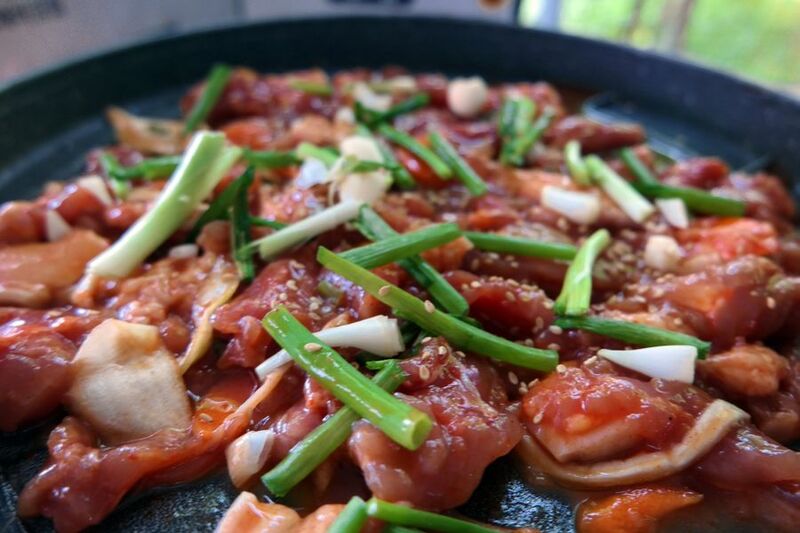 After a while, Gochujang Bulgogi came out. The Gochujang Bulgogi on the wide roasting pan was less spicy than I expected, but the Bulgogi is raw meat, not frozen one. 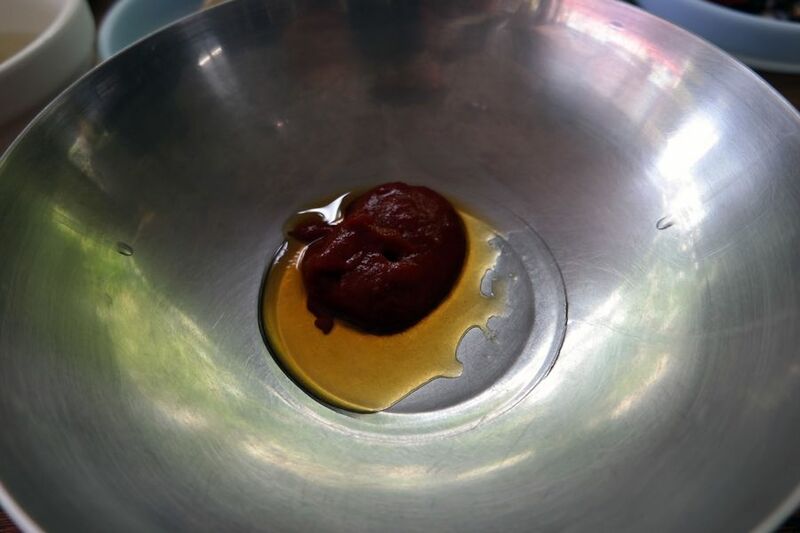 The Gochujang was fried and when it was getting burned and stuck a bit to the bottom of the pan, the savory and sweet aroma started to simulate my smelling sense. Finally it's the time to eat! 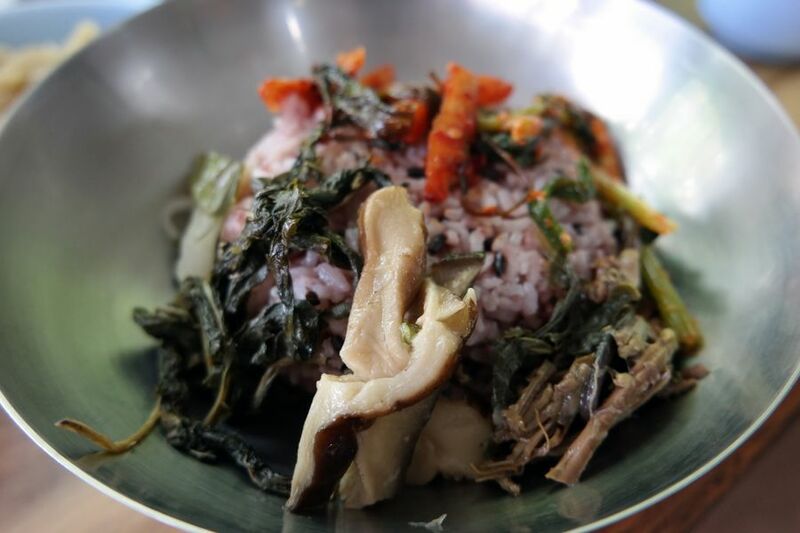 Let's have a bit of various wild edible vegetables and Gochujang Bulgogi on multi-grain rice~!! I can not miss out having Sanchae Bibimbap at the mountain. 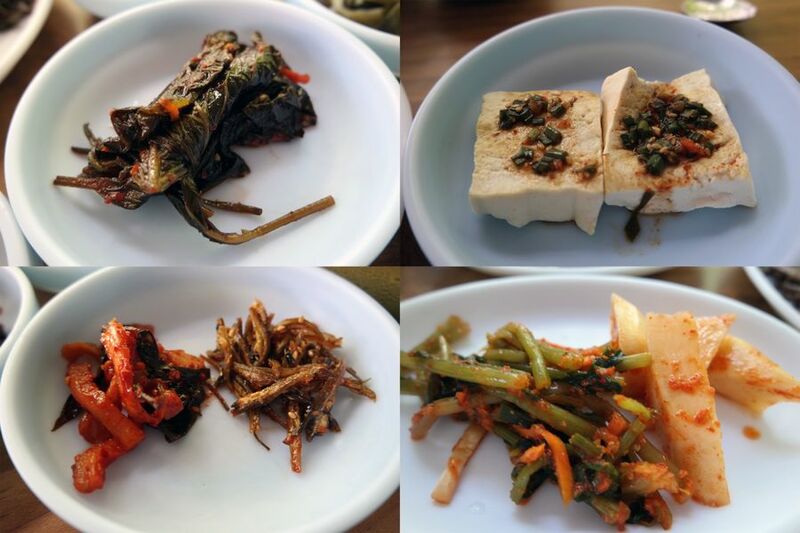 I will make my own homemade Sanchae Bibimbap with a big bowl of rice, various vegetables and side dishes. It looks not that good, but I made a great taste by putting fresh young radish kimchi on the rice mixed with various vegetables and Gochujang and shared with Chodingi. 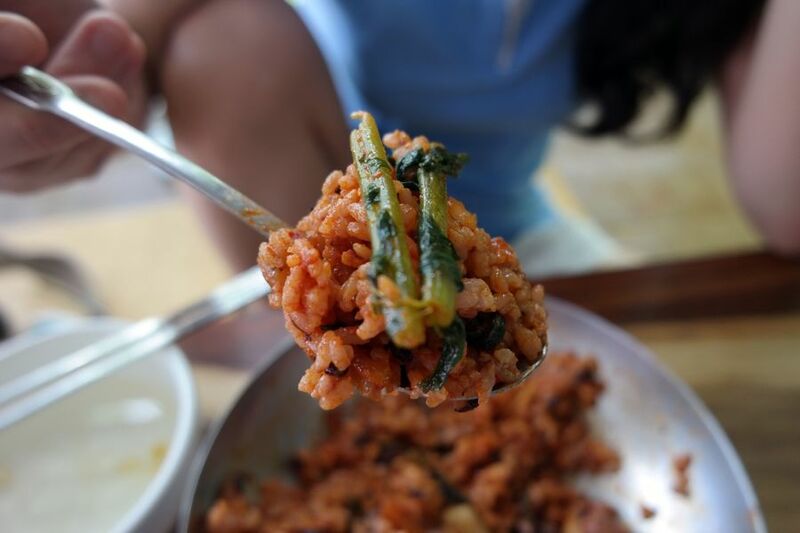 Sure, we should not miss out eating the Gochujang Bulgogi together after a spoon of Bibimbap. I ate the meat on the roasting pan, rice and side dishes away shortly in 20 minutes. 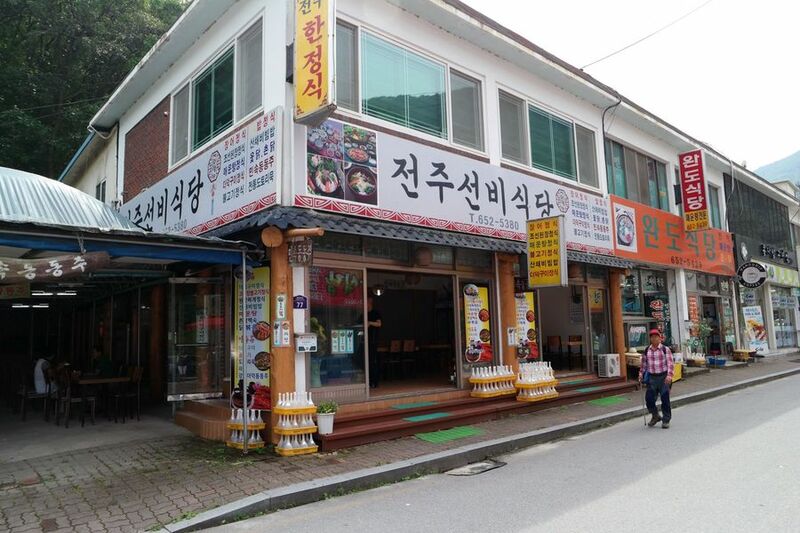 Then, I had to leave Jeonju Seonbi Restaurant and Gangcheon Mountain with a cup of sweet coffee. As we were in the home of Gochujang, Sunchang, it should have been better to have more Gochujangish(?) 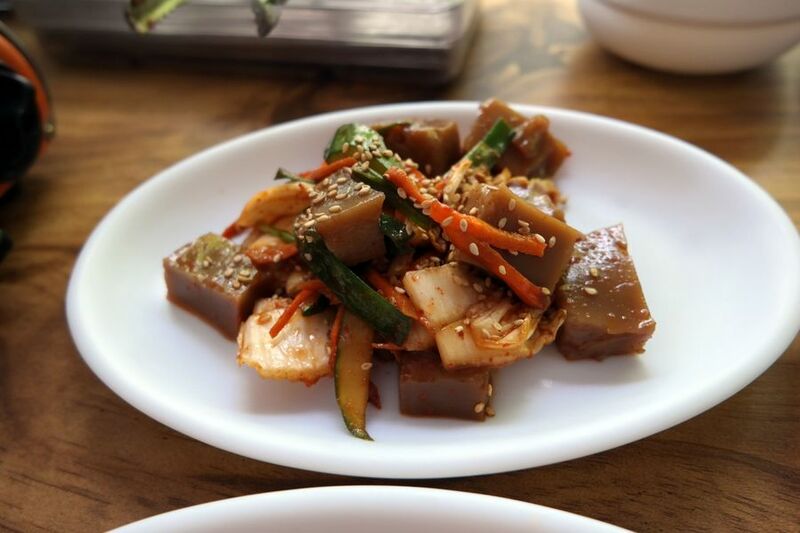 food, but I could get over it with Gochujang Bulgogi made of wild edible vegetables and hot pepper paste.